Land Rovers are one of few cars that are luxurious, dependable, sturdy, and comfortable. One of the elements that frequently come in various Land Rover models is a sunroof, often a double sunroof – one toward the front of the car and one toward the back of the car. Sunroofs are excellent for those of us who love to enjoy warm, pleasant weather without committing to excessive amounts of wind blasting us in the face. However, when it starts to rain and your sunroof starts to leak, you’ll wish you didn’t have two, or even one for that matter! Here’s a little more on this issue and what you can do about it in your own Land Rover. Is this problem unique to Land Rovers? The short answer is yes – Land Rovers are known for having problems with leaking sunroofs in multiple models. 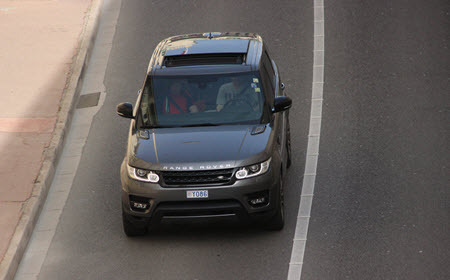 The issue is well-documented and highly-reported by Land Rover drivers. However, drivers of other vehicles may also experience a leaking sunroof at one point or another. Luckily, there are ways to fix the issue, even if your automotive guy says there aren’t, or demands you pay a ridiculous amount of money to replace them. Rest assured, if you drive a Land Rover and have experienced the issue of a leaking sunroof, you’re not alone and all drivers experience issues with their cars once in a while. Read on to learn more about what causes the sunroof to leak in Land Rovers and what you can do about it. What could be causing your sunroof to leak? These two issues in combination with one another make the process of fixing the issue exhausting, as most automotive shops only tackle one aspect of the issue – the drain trays and lines or the faulty seal alone – leaving the driver at a loss of how to address the problem. Along with leaks, drivers may also experience other concerning symptoms related to their sunroof. If the feature isn’t properly sealed, you may also notice that the sunroof won’t open or close fully, or may begin leaking air into the car when traveling at high speeds. It’s important to report these symptoms to your automotive shop, as they may want to adjust the treatment plan. Bringing your Land Rover to a specialist is important, as fixing the issue of a leaking sunroof properly involves several steps. First, the drain lines and drain tray must be replaced with more adequate parts that will actually do the job well. Next, the seal that the glass rests upon must be replaced with a new, more adequate seal (another reason to consult with a Land Rover expert). Lastly, your automotive shop may reseal around the rubber seal with a liquid/gel sealant – it should be high quality and reliable. If you attend to each of these factors, your sunroof should be leak-free in no time. The Land Rover specialists here at Tech Plus Automotive provide expert services to the residents of Scottsdale, Phoenix, Paradise Valley, and McCormick Ranch, AZ. If you drive a Land Rover and have noticed your sunroof has sprung a leak, please contact us to schedule an appointment right away to prevent damage to your car’s interior and restore your car’s functioning. * Range Rover Sport image credit goes to: bensib.